If you’re following along on instagram (If not, go and share some love here) then you’ll have seen the Autumnal vibes on my stories this morning as I walked to work. It’s fair to say the leaves have turned and our paths have turned a beautiful yellow tone as trees shed their summer layers. 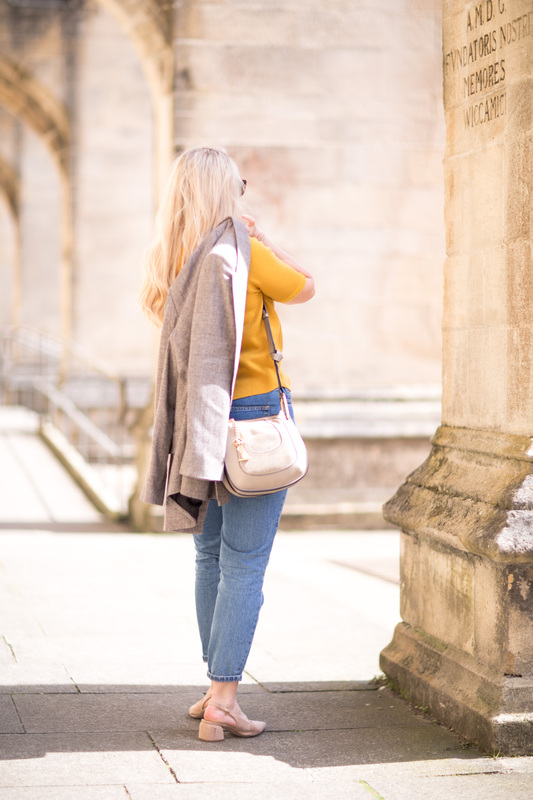 There’s just something about Autumn I adore, the move to cosy evenings, the rich and warming colour tones it brings, not just from nature but also within my own wardrobe too, and of course the excitement of the season and celebrations ahead. I love summer and sunshine, but Autumn most definitely has a special place in my heart. And truth be told, work wear in this season of all, always feels the easiest, the most intuitive & the most sophisticated. 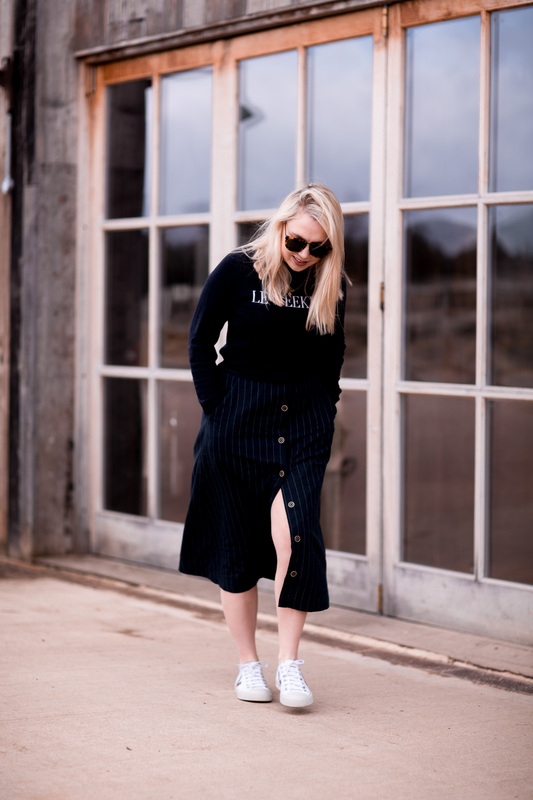 The risk of diminished modesty is gone (no summer dress faux pas) and it’s not quite restricted to winter boots & over sized coats, it’s a season where we can play with layers, embrace new colours & generally feel a little more comfortable in our choices. For me my Autumn work wardrobe tends to rely on two favorites. Firstly the maxi dress, it’s an homage to the summer gone but the perfect opportunity to embrace a longer length, sleeves & a more modest tailoring. 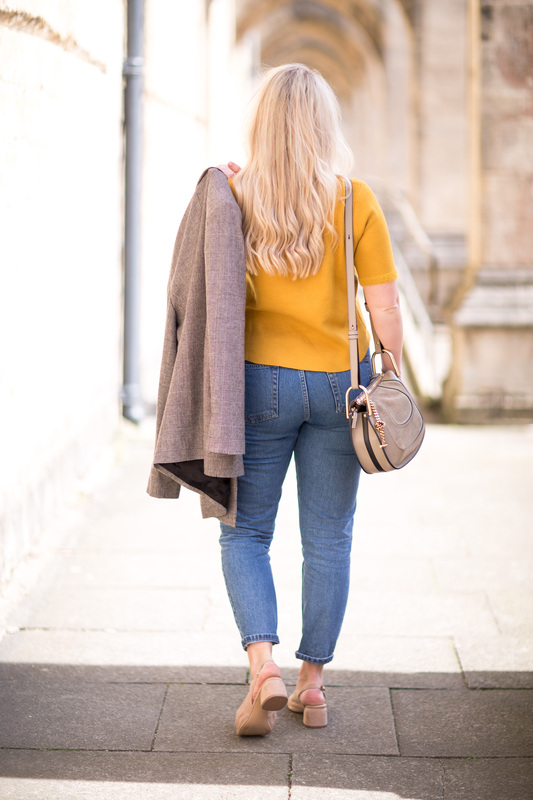 Secondly a fail safe combination made for Autumn, the classic denim jean, an Autumnal toned blouse or jumper & the epic-ally sophisticated oversized boyfriend blazer. 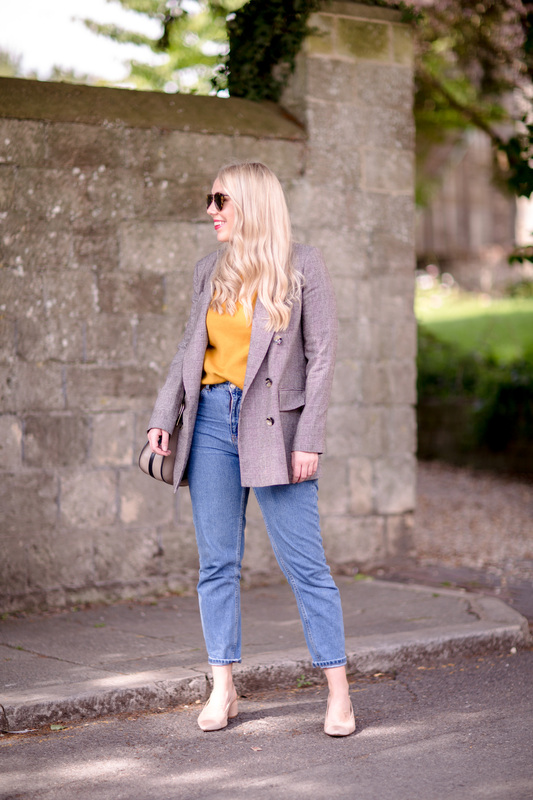 The latter of these looks makes today’s ensemble, and is an outift I come to live in at work during the Autumn months, mixing up my blazers and jumpers / shirts / blouses to keep the look fresh, and denim tailoring to adapt from laid back office today’s, to dressing for important meetings!
. TOPSHOP MOM JEANS . 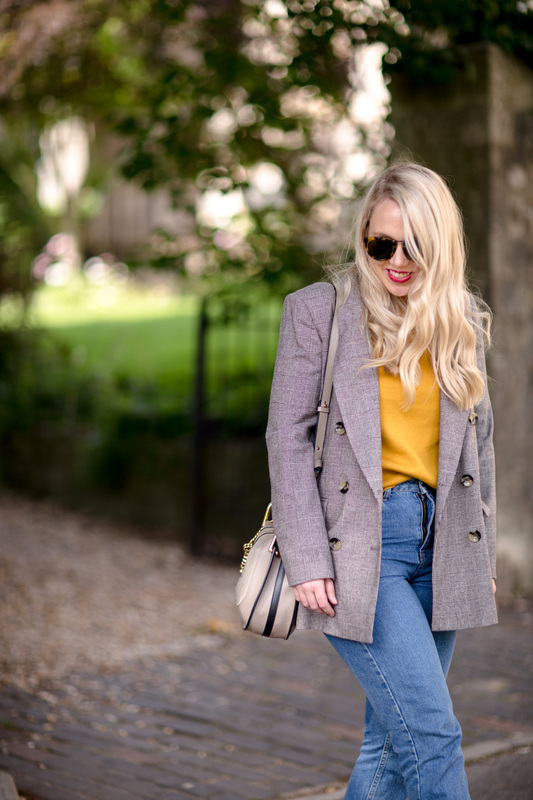 ZARA MUSTARD YELLOW JUMPER . ZARA TWEED BLAZER (SIMILAR) . 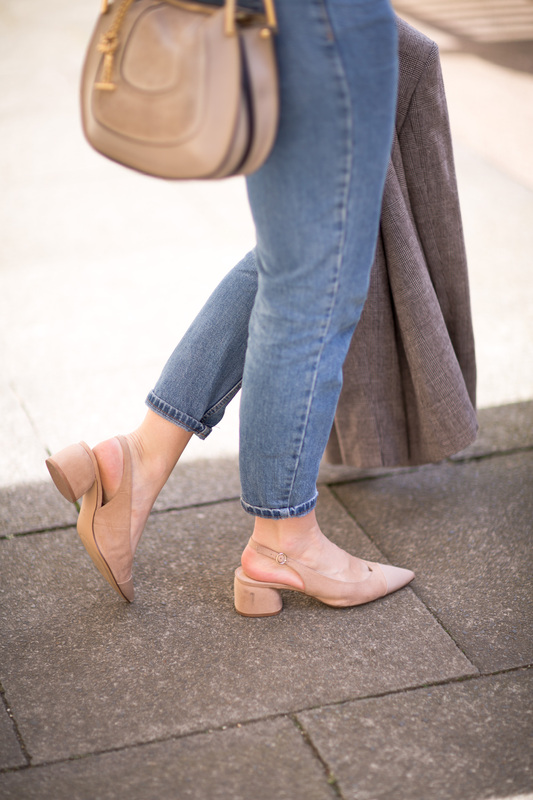 MANGO SLINGBACK PUMPS (SIMILAR) . CHLOE HAYLEY . KAREN WALKER SUNGLASSES . I’m obsessed with my And Other Stories rich red maxi dress right now. But when it’s not the rich red tones of my new favourite maxi, it’s mustard yellow that’s dominating my wardrobe. 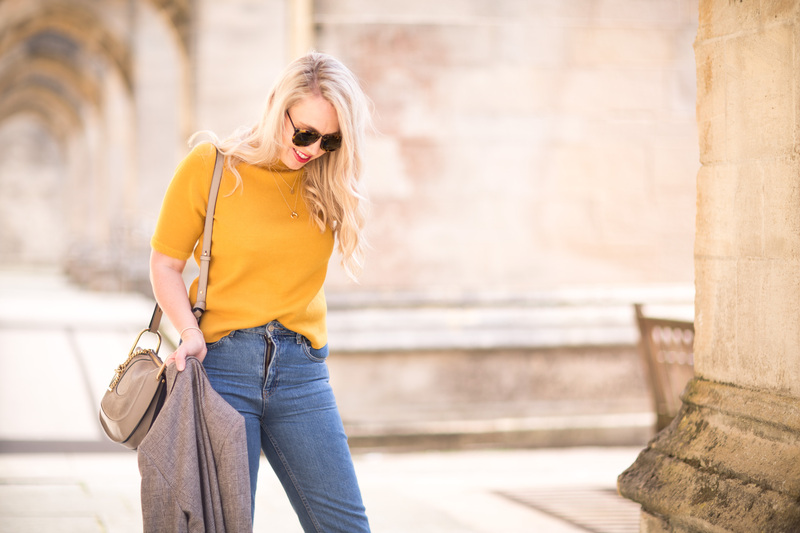 In my opinion this is the colour of the season, never before have I wanted to wear so much yellow. 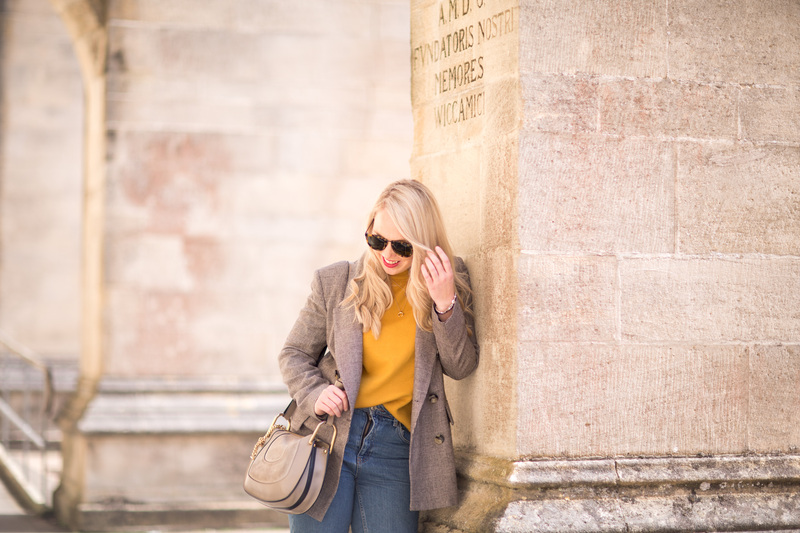 It’s the rich mustard tones that bring the otherwise garish tones of yellow into the ‘acceptable’ everyday fashion world, and Autumn which makes the tone so relevant right now. 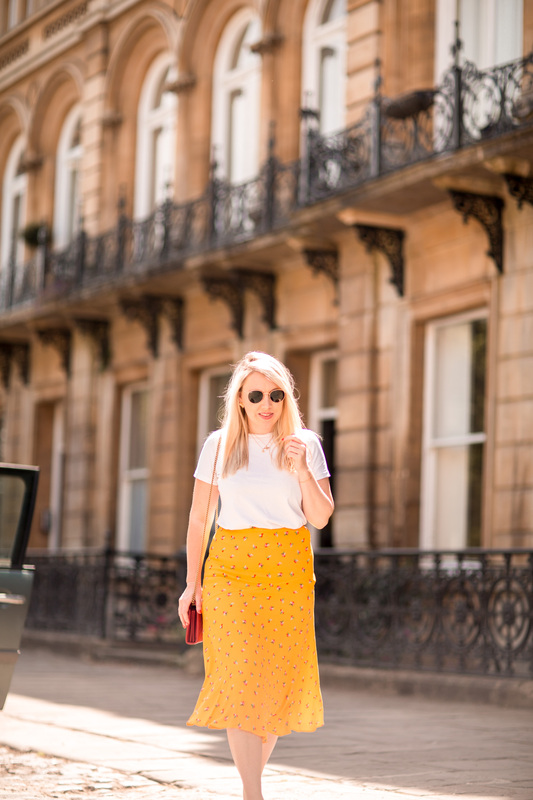 Whether it’s subtle yellow touches through the likes of a silk neckerchief, a slightly more bold look with a mustard yellow blouse or jumper like my Zara number in today’s look, or the full blown look with statement trousers or culottes channeling the colour tone. 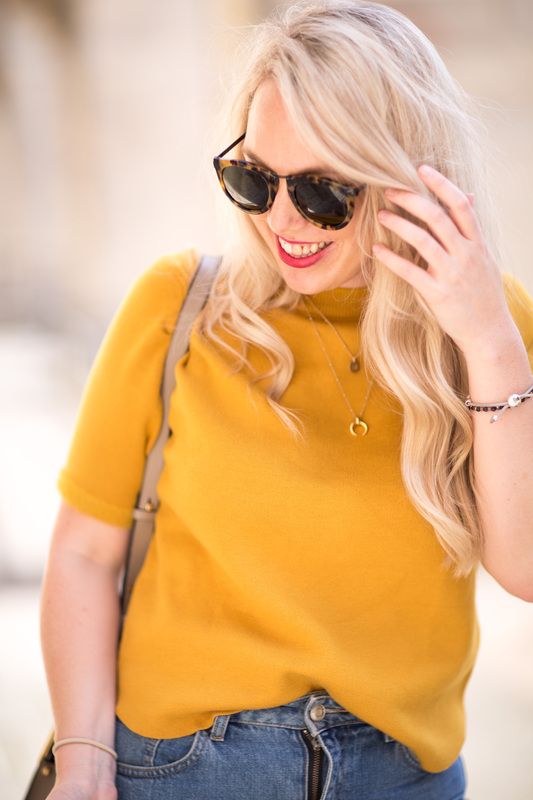 I’ve shared some of my favourite yellow (and red) pieces on the high street right now above for you to browse! I’m personally loving this Mango Skirt and this Jigsaw Coat. 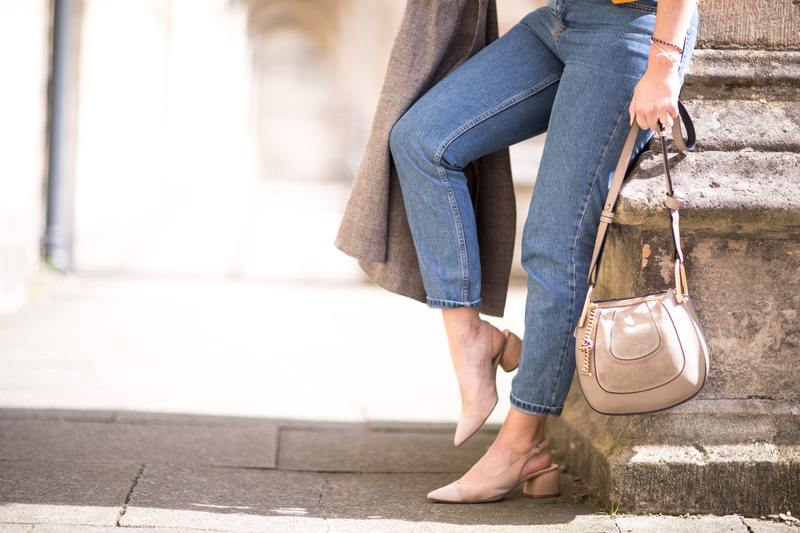 What’s your Autumn office Style? Are you a fan of this seasons red & yellow? I love wearing mustard yellow. 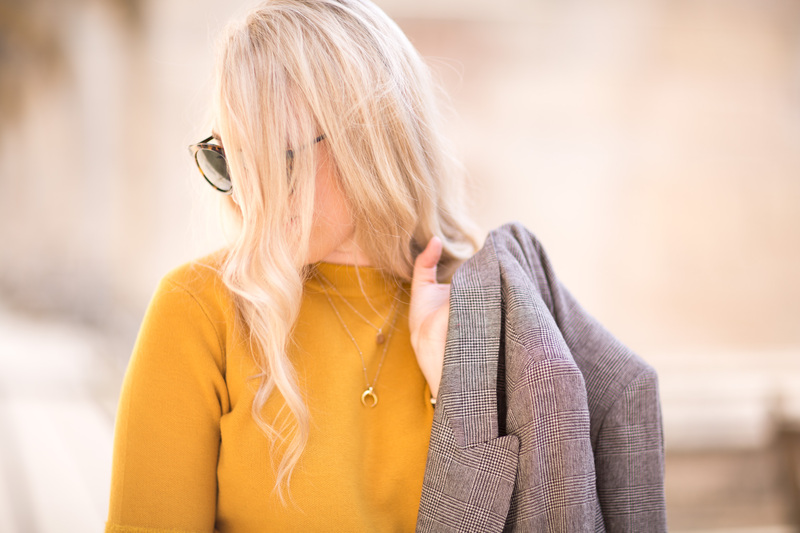 It’s such a fall colour and a really great toned-down way to add a little yellow to any outfit. I have so much love for the colour of the jumper and love how this outfit is styled. 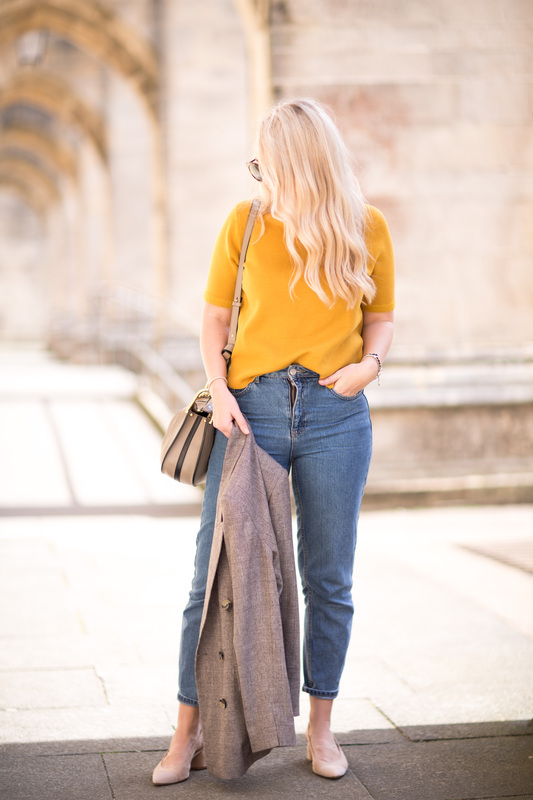 I have a mustard yellow shirt I’m dying to wear once the crisp air comes through! 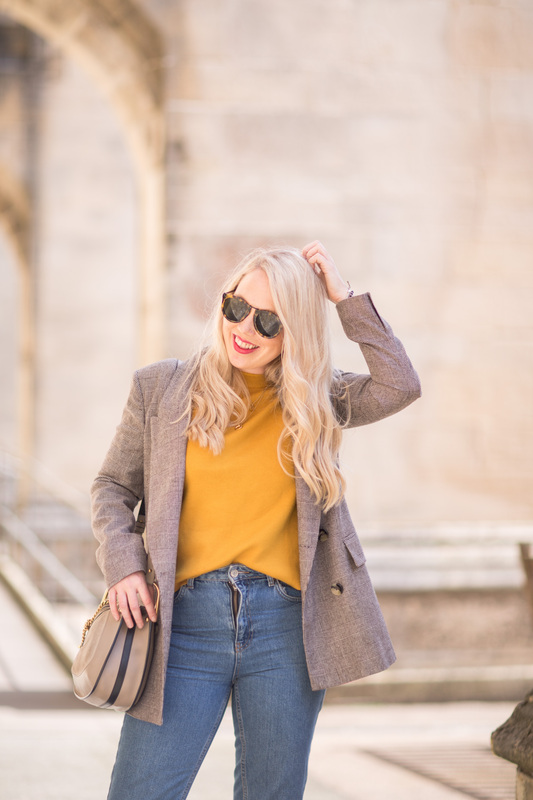 Love your mustard picks! You’re looking so stylish and cool in this masculine and bright outfit! You look great in this top! 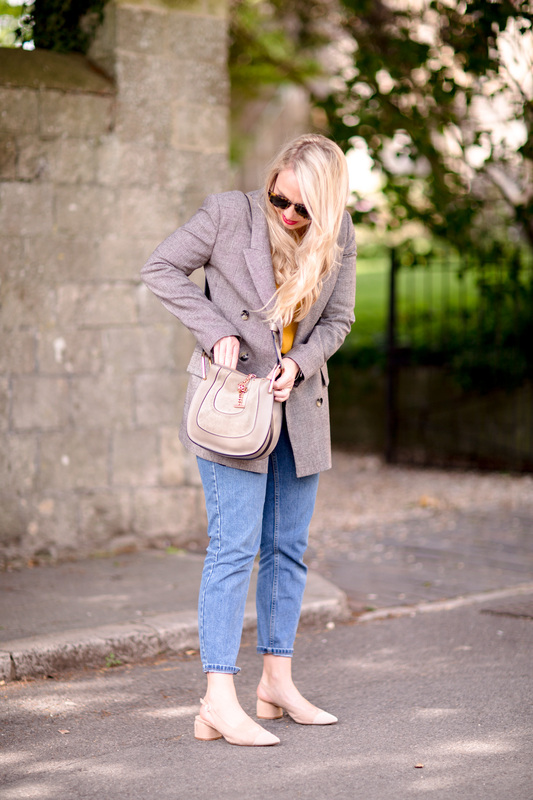 Megan | http://www.MummyandHarrison.co.uk | Fashion, Lifestyle and Parenting Blog. I still don’t have a specific style. I would like to be tailored, but I don’t feel comfortable with my body yet and I don’t know how to dress it properly.